This scene is easily recognisable as Berrycroft – taken about fifty years ago. Amazingly, with the exception of the houses on the far left which have gone to make way for Willingham Motors, all these buildings remain and there has been little major alteration. The biggest change is that we no longer have our electricity and phone delivered on poles. The other big difference is the amount of snow. 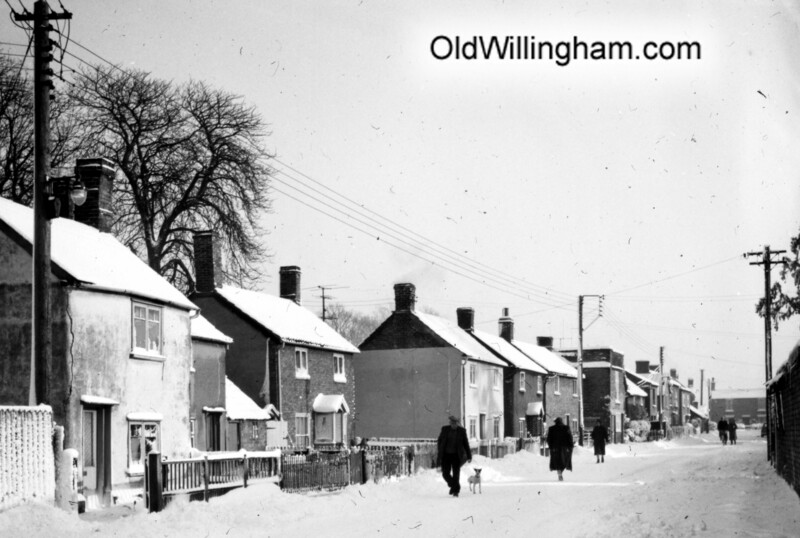 In the 1960s snow in the winter came often and heavy, and people just got on with their lives as shown here.